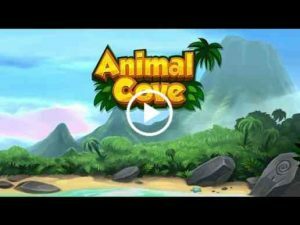 Animal Cove : Explore a mysterious tropical island story, play fun matching games and make hilarious animal friends in Animal Cove! Animals sing, tell jokes, garden, and more – all in full 3D! Enjoy island life by unlocking movies and cinematics featuring your favorite characters at play. Rescue pets? More like Make Friends For Life! Decorate with accessories and uncover clues as you become best buds with dogs, cats, tigers, pandas, alligators, birds, and other fun characters! 3D pet games have never been so fun! Enjoy the animals and environment in full 3D. Solve mysteries alongside your witty new BFF Winston the Dog! Animal pals have stories to tell – meet and learn all about them as you play. Story game with rich audio – hear your animal friends talk with full voiceover! Mystery meets Match-3! Puzzle games reveal more island mysteries for you to solve. Match-3 levels provide hundreds of challenging and exciting games. Matching games merge pieces to create a variety of zany power-ups, like the heat-seeking chicken bomb! Customization lets you build, paint and style your buildings and garden your way! Decorate your tropical home and land scape the island to your style. Not a zoo as city building elements allow you to create a custom seaside area to share with your new animal friends. Meet cute animals and hang out as they perform hilarious acts and share what’s on their minds. Explore the seaside and encounter mysteries and problems that only you can solve! Unlock the secrets of the island and design the animal kingdom of their dreams. 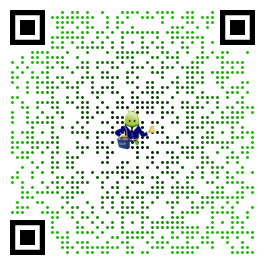 Lots of fun to play. Like the story line. Lots of choices in design. Addicted and see this as a new favorite. One I’d stick with. Only complaint is I feel themoves are too tight. Maybe add a few to each level. Makes it too hard in the easiest levels. You need to be right on or get the right board if you know what I mean. Can’t wait to see what’s to come!!! Glad to hear Chris, thanks for the support! The Spiral is strong across our games with such a great community. Enjoy more fun with friends and check out our special holiday events and new puzzles! Form Clubs with other Animal Cove players! Play a new weekly event with your Club! Challenge yourself with 50 new match-3 levels! Unlock 2 new mythical baby animals – the griffin and the dragon! Decorate for the seasons: collect special items for fall & winter. We’ve tidied up the island with more bug fixes.